Residents can now recycle their household batteries at their local supermarkets. All three of the major supermarkets in Wellingborough now have containers in-store for the recycling of household batteries. Any retailer that sells more than 32kg of household batteries must now provide a free collection point for customers to return used batteries so that they can be recycled. 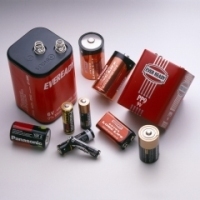 This is a great step forward as previously batteries were very difficult to recycle. Car batteries can still be recycled at your nearest Household Waste Recycling Centre. Please note that Wellingborough Council is unable to recycle batteries through the green bin recycling collection.